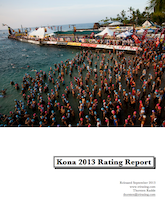 2013 Kona Rating Report now available! Result analysis from last year and the current course records. The Kona 2013 start list and a look at the country-wise distribution. My predicted finishing times for the pro athletes. Based on the predicted times for each of the legs, I show how the race may unfold. My predictions include odds for the winners and TOP3 and how these developed over the 2013 qualifying season. A lot of people have asked how they can pay me back in some way for the information I’ve been putting out. In order to enable that, I’m releasing this report through Gumroad. The report is still free (you can just enter “0” as the amount), but if you want to help with my hosting costs, you can donate an amount of your choice. Regardless of whether you donate or not, feel free to share with others and enjoy! 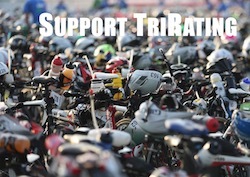 One more thing: If you have you own opinion on who is going to win in Kona, you should check out IM-Betting.com. You can submit your picks for the men and women, and maybe you can win one of the cool prizes such as PlanetX Carbon Race Wheels!